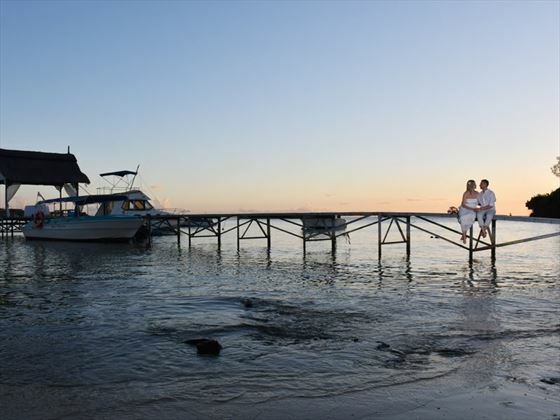 The Ravenala Attitude is an all-suite all-inclusive resort sitting on the beautiful north-western coat of Mauritius. Set across beautiful gardens and sitting between the ocean and a river you’ll enjoy lovely views anywhere you look. 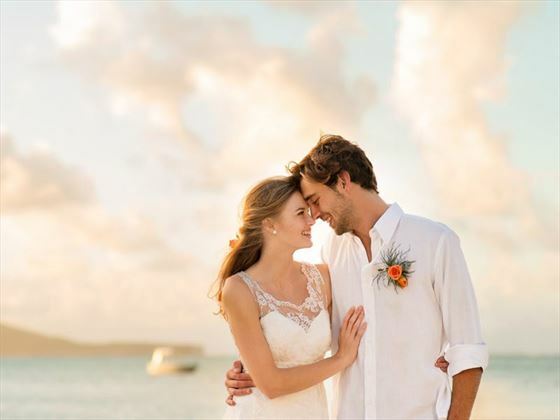 This rustic-style resort is a great choice for couples getting married and spending their honeymoon. 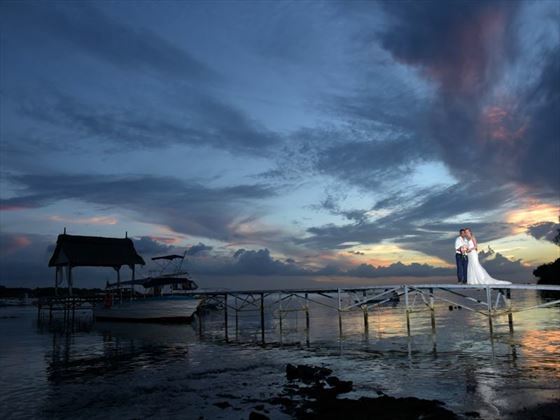 Exclusive venues for the wedding ceremony include the beach and gardens if selecting the Classic Wedding, or choose the on the jetty if having the Premier Wedding. 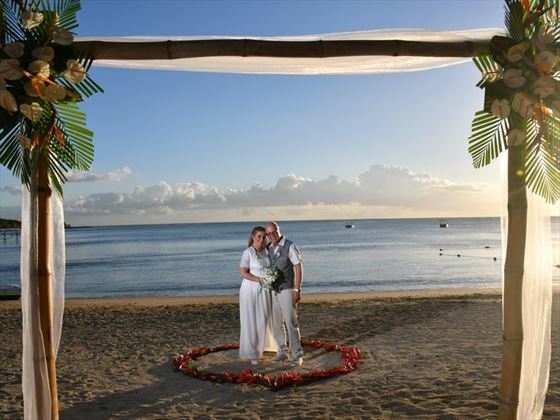 Stay seven nights or more and receive complimentary accommodation for the Bride. What makes your special day perfect? Inviting your family and friends to stay at the same hotel as you turns a wedding abroad into a tropical event that you’ll never forget. We’ve partnered with our friends at The Ravenala Attitude to make your day, extra special. Following your wedding ceremony at The Riviera, enjoy a cocktail & canape reception and then an informal BBQ or Fishermans Buffet with unlimited drinks. 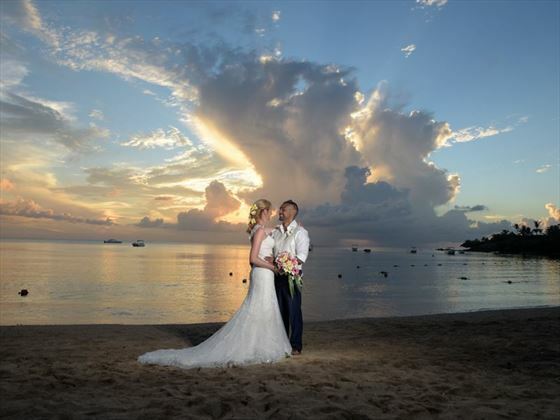 This Tropical Sky exclusive wedding & reception option is for Bride & Groom and up to 15 guests.